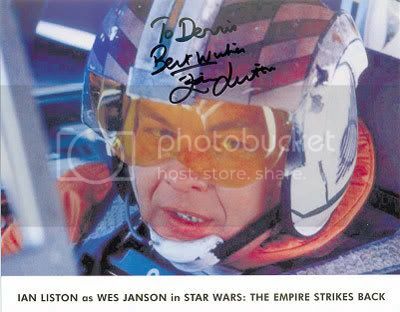 When a die-hard Star Wars fan sees the name Ian Liston he/she will immediately think of Wes Janson; Wedge Antilles' gunner in The Empire Strikes Back. It could have been so much different as Ian wasn't the first choice to play Wes Janson! A certain coincidence (the Force?) changed everything...What that was and a lot more can you find out by reading the next interview. For this interview Wattographs' Gary X and I collaborated in 2006 and it was originally published on Wattographs.com. "Cable out! Let her go!" The actor playing Wes fell ill and I just happened to be the lucky guy on the spot. I'd been filming in a suit that didn't show my face so, as I was free and didn't have any other work at the time, I was able to take the part at a moment's notice. It was only meant to be for a week or so but all in all it involved many trips to the studio over a twelve week period. I love the books. Starfighters of Adumar and Iron Fist are amongst my favorites. I'm a great fan and I love the way in which Aaron Alston and Michael Stackpole and other writers developed Wes' character with so much fun and good humor. Wes is quite a loopy character! I think it was Aaron Alston and perhaps there's a coincidence in the way his surname is spelled and mine? At that time none of us knew how ‘big’ they would become so it was really -- at the time -- just another job. I fell onto Wes by accident, having originally been booked for a couple of days, to do the casting director a favor. At that time all the other parts were cast, but nobody could have foreseen someone falling ill. 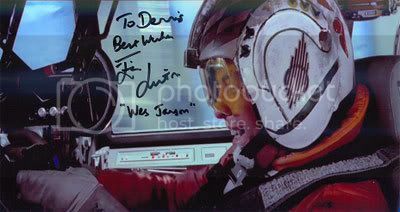 I can't remember much about Denis on the filming and he's left Star Wars far behind him, so more than that I can't say. 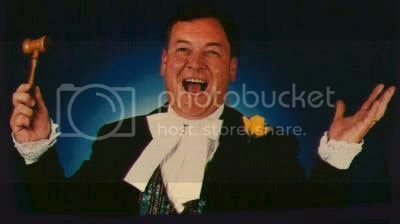 Kenny Baker, I have now known for over forty years! - We first worked together on Snow White and the Seven Dwarfs on ice in 1966! Kenny is still a great mate and we're both members of The Grand Order of Water Rats, the UK's very prestigious show biz charitable order. Rusty Goffe is one of our brother Rats. You just ignore it and concentrate on what you have to do ... and try to imagine your surroundings. It was VERY hot on that set! With blue screen in those pioneer days, it often had to be done many times, to get it right. Particularly to avoid ‘fringing.’ I've nothing against large numbers of takes ... as long as it's not me causing them and that we get it right in the end. Very flattering and a huge honor. 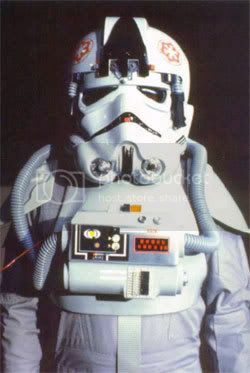 Empire Strikes Back IS the best of all the films...and I'm not just saying that because I'm in it! Kyle is a ‘natural’ and a great guy to share time with. He's got a tremendously warm personality and has time for each and every fan that he meets. And, he's not averse to getting away from the desk and showing off a few well choreographed fight moves...in fun of course! Anyone who's on the rounds, as you put it, is a privileged guest. Everyone should always bear in mind that we're there to meet the fans and talk them as friends and not just strangers who pay us money to give them a signed picture. Working with Kyle on his ‘first-time’ reminded me of my first time....with Michael Sheard. His untimely death was very sad and he is sorely missed by Star Wars fans and guest celebrities everywhere. Always impart warmth and friendliness ... and be tolerant and understanding. It sometimes takes a great personal effort for some ‘apps,’ who can be a little overwhelmed at times, to meet and ask questions. The fans all share an overriding enthusiasm for all these great films. They all have different areas of particular interest, e.g. collecting specialties. Where ever I've been in the world there's always been warmth and welcoming friendship. 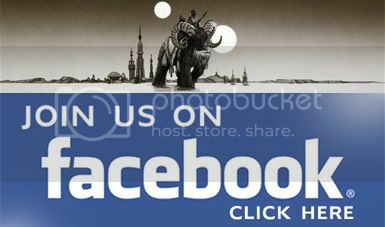 I enjoy meeting new people and visiting new countries and Star Wars has blessed me with the means to do that. We understand you have a great love for trains, including having one in your own house! Can you tell us a little bit about this fascination, as well as your thoughts on riding Japan's famed ‘Shinkansen,’ or bullet train? I love steam trains and small gauge railways in any shape or size. The Shinkansen was an amazing experience, not least because I didn't expect them to run so frequently (virtually every ten minutes out of Tokyo) and to be so crowded at 07.00 on a Sunday morning. 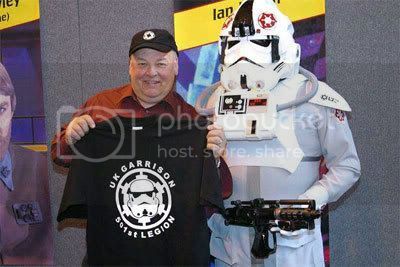 It must be the full size replica of the X-Wing Fighter at Celebration 3 when I was extremely honored to be made an Honorary Member by The Rebel Legion. There are pictures of that around. It was the most touching and moving personal moment I've ever experienced at a Star Wars event. I don't think this has reached the UK as yet...I'll keep my eyes peeled and my trigger finger ready. For all the football-loving (editor's note: ‘soccer’ for the U.S. readers) Star Wars fans: You were born in Crosby, Mersey. So, what we want to know is: Everton or Liverpool FC? You’re a science fiction fan. Besides Star Wars you've also appeared in Doctor Who, the most popular British sci-fi series of all time. You also had a strong desire to appear in the Babylon 5 series. Why this desire? And why did it never happen? Every actor has a desire to WORK! ...and I loved the series. It's so sad that the Star Trek and Babylon 5 franchises have come to end. I'd love to have appeared in either of those series as an alien. Maybe even tried to emulate Vaughn Armstrong's number of different character appearances in Star Trek! You also played a role in one of the best war movies ever, A Bridge Too Far, which had an incredibly strong cast: James Caan, Sir Sean Connery, Dirk Bogarde, Sir Anthony Hopkins, Gene Hackman, Sir Michael Caine, Sir Laurence Olivier, Robert Redford...the list is endless! Did you get close to one or more of these legendary actors and can you tell us more about how it was starring in this movie? I had a couple of scenes with Anthony Hopkins. He was -- is -- a very charming man and I'd love the chance to work with him again. Unfortunately, my days didn't coincide with any of the others. I was part of a group of actors known as ‘The APA’ - Attenborough's Private Army. We were all on three month contracts and were involved in all sorts of scenes as well as playing our own individual cameos. - I also dubbed a lot of the voices in the battle action scenes. It may sound negative, but it's got very positive connotations in the UK and the phrase comes from audience reactions to old melodramas, which we used to do at one time. It may be the same role, but every performance is different as we constantly change many of our performers. Also, most of it is unscripted, so we often never know what's going to happen next. I would never get bored with theatre that keeps me on my toes...and it keeps drawing good audiences and makes for a good living. I'm a jobbing actor and am in the very lucky position of being able to turn work down if it doesn't interest me. I've also been fighting prostate cancer for a few years (fortunately succeeding - I'm very fit, well and happy) and that takes up a lot of my time as I'm also a patient advocate and spokesperson for various UK prostate cancer charities. Hiss & Boo have the usual crop of pantomimes this year (five in all at venues all over the UK) and we will be launching a couple of new ‘Revue’ format shows next year. Plenty to keep me busy .. and that's without UK conventions and overseas trips.